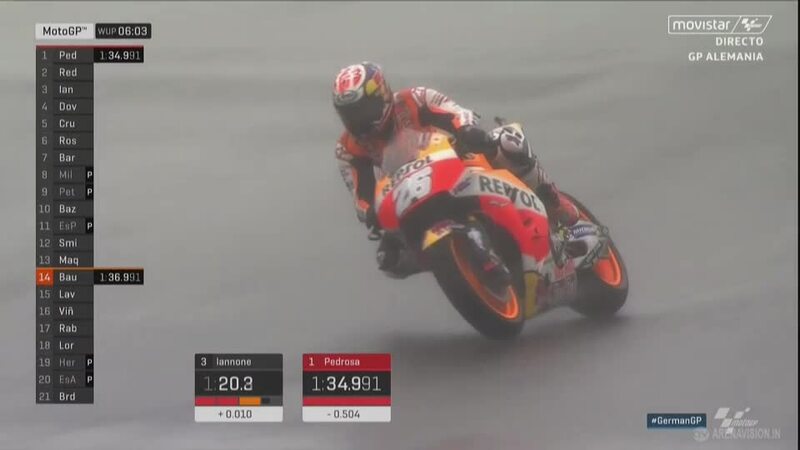 Dani Pedrosa (Repsol Honda Team) led an all-Honda top three in a soaking wet morning Warm Up. 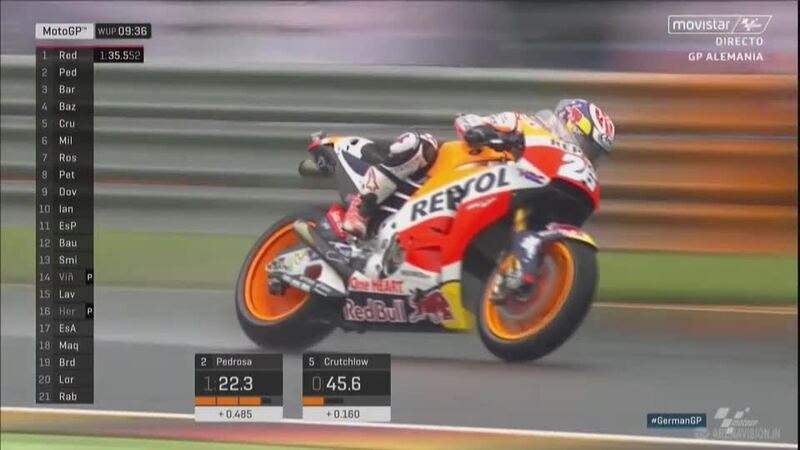 The Spaniard set a 1’33.883 around the wet Sachsenring, 0.053s faster than second placed Cal Crutchlow (LCR Honda). 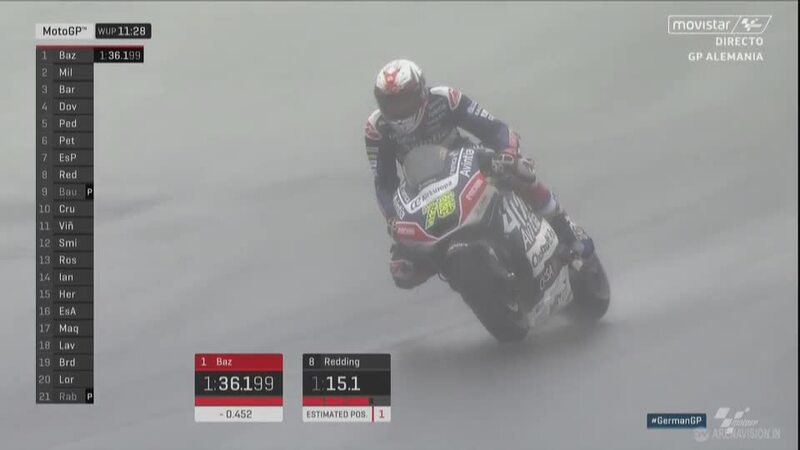 Pedrosa had a significant five-second lead during the 2008 race at the Sachsenring when conditions were equally wet but crashed, will he make amends in 2016? 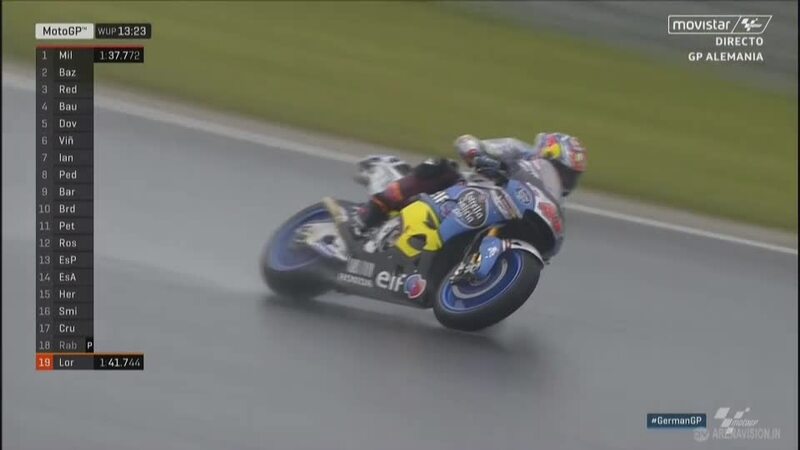 Winner last time out in the wet, Jack Miller (Estrella Galicia 0,0 Marc VDS) was quick once again in the wet, ending 0.380s behind Pedrosa. 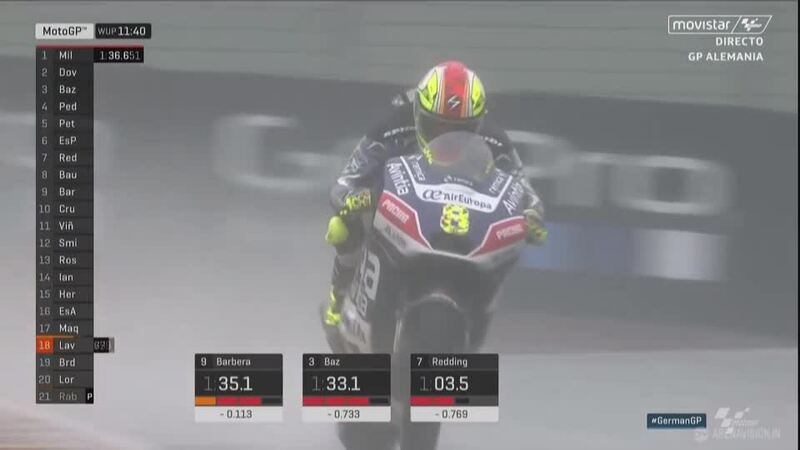 He’s proven himself as a rain master but will have some significant work to do from 16th on the grid. 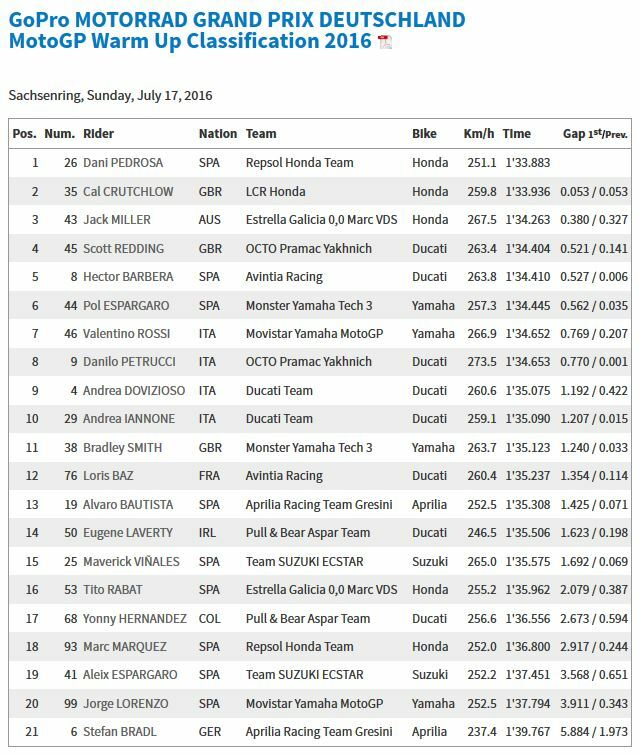 Scott Redding (Octo Pramac Yakhnich) and Hector Barbera (Avintia Racing) completed the top five. 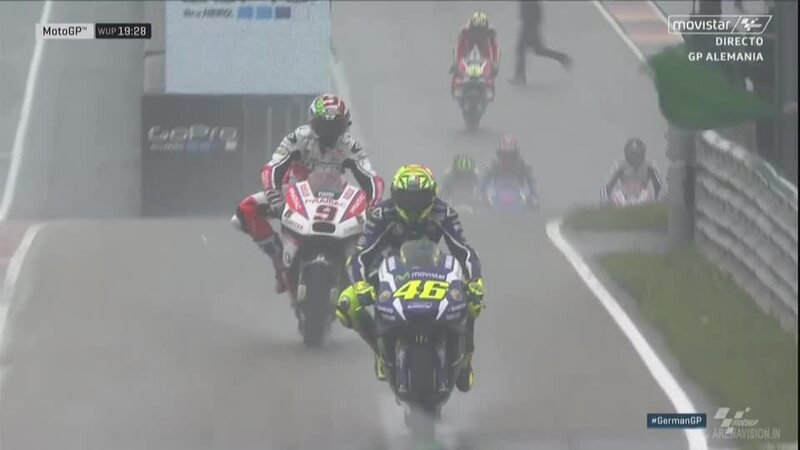 Jorge Lorenzo’s (Movistar Yamaha MotoGP) nightmare weekend continued as he concluded the wet session down in 20th. 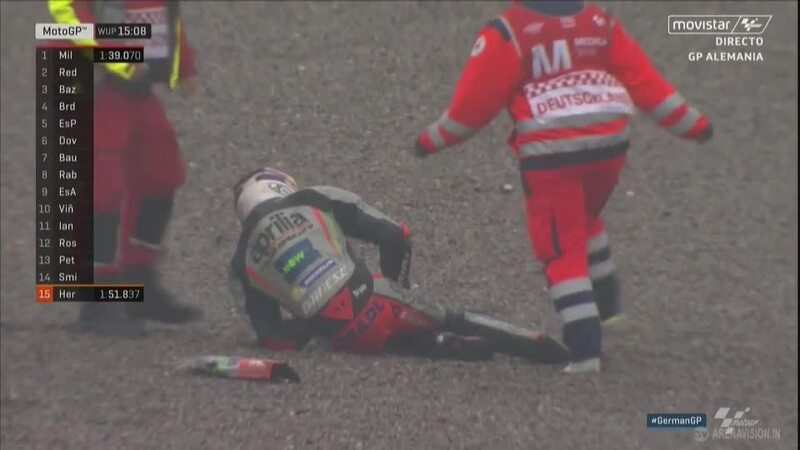 Home rider Stefan Bradl (Aprilia Racing Team Gresini) had a less than ideal start to his home GP, crashing at Turn 7 during Warm Up. 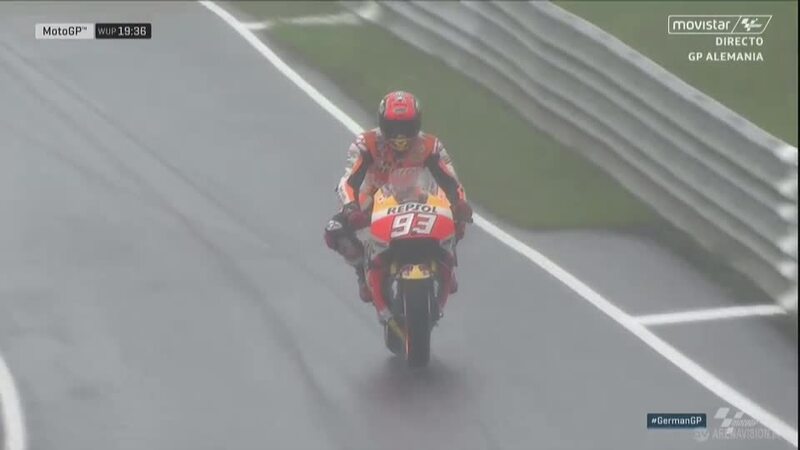 Marc Marquez (Repsol Honda Team) touched the kerbs as he entered Turn 8, he and the bike rolling through the gravel. 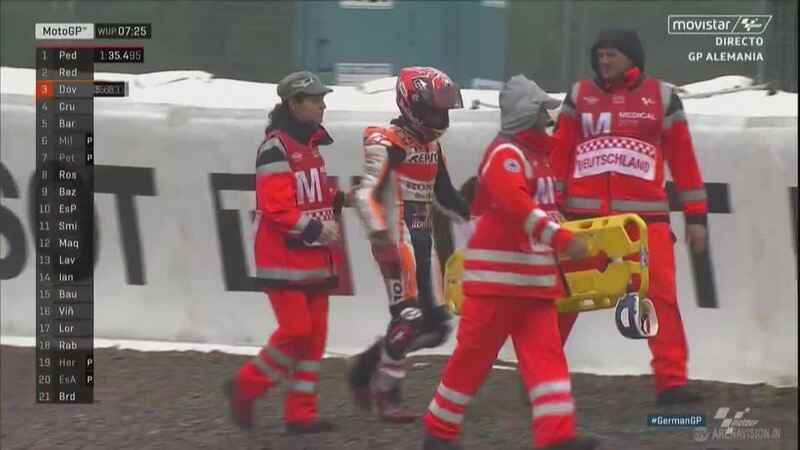 His bike sustained serious damage and Marquez was slow to his feet but eventually able to walk away. 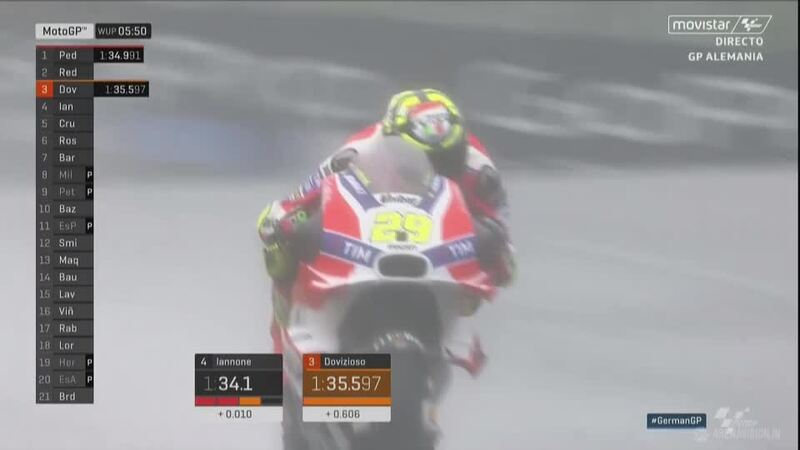 He headed back out with 30 seconds remaining to check his second bike and himself.